Should the federal government say yes to oil and gas extraction off the east coast of Baffin Island? In a big joint report released last week, the Qikiqtani Inuit Association and the Nunavut Impact Review Board still straddle the fence on the issue. But they say their new document, called a “preliminary findings report,” represents an important step towards completion of a long-awaited $2.5-million strategic environmental assessment of potential offshore oil and gas activity within the waters of Baffin Bay and Davis Strait. “The preliminary findings report provides a high-level overview of what offshore oil and gas development in Baffin Bay and Davis Strait could look like, highlighting available information and the potential for positive and negative impacts associated with development activities,” Ryan Barry, the review board’s executive director, told stakeholders in a letter. ▪ Whether offshore oil and gas activity should go ahead in Baffin Bay and Davis Strait. ▪ The location and timing of potential oil and gas activity. • Options for maximizing benefits for people in Nunavut. ▪ Specific areas where regulators and others need more information. ▪ Actions that could prevent or reduce the damage that could be caused by offshore oil and gas activity. To get there, they’ll take their preliminary report and run it by stakeholders one more time at a final public meeting and community round table in January, the NIRB’s proposed timeline says. The review board has been working on that long-awaited strategic environmental assessment since February of 2017, after being directed to do so by the federal government. Neither the QIA nor the NIRB take any positions for or against such development right now. They also emphasize that this work does not mean that any specific oil and gas activities are planned for Baffin Bay and Davis Strait or will be considered in the future. To get Inuit knowledge into the report, the QIA took charge of collecting Inuit Qaujimajatuqangit and Inuit Qaujimaningit, as well as information on food security and hunting. 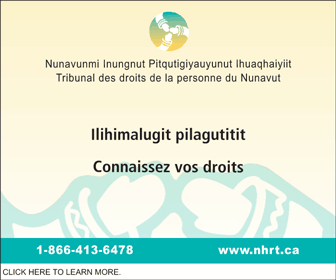 They define “Inuit Qaujimajatuqangit” as a belief system at the core of Inuit identity, while they define “Inuit Qaujimaningit” as that which Inuit know now, a more recent form of collective knowledge. They also use material from two big studies done by the Nunami Stantec environmental consulting group: one of them describes possible future scenarios for oil and gas development, while the other looks at the possible environmental impacts of oil and gas development. For the full report, see the document embedded below this article. • There is a long history of oil and gas exploration in the High Arctic, but except for some seismic testing and three exploratory wells drilled in Davis Strait, very little has happened off the east coast of Baffin Island. No wells have ever been drilled in Baffin Bay, and Lancaster Sound has been off limits since 1978. • There appears to be more natural gas than oil in the region. • Data from the early seismic tests isn’t accurate enough to show any areas that are promising for test drilling. • Seismic surveys are the first step in exploring for offshore oil and gas, and would be needed in Baffin Bay–Davis Strait to collect basic information on where to do exploratory drilling. • Most seismic surveys are two-dimensional, aimed at a general understanding of a wide area; three-dimensional surveys are used to get a detailed understanding of a small area. • One seismic vessel, with one or two support vessels, would be needed to do seismic surveys. • A seismic testing vessel would come fully staffed, so local employment during seismic testing would be limited to six to 10 seasonal jobs, and little onshore support would be needed. • The threat to undersea life posed by seismic testing is highest within two to five metres of the sound and decreases with distance. • The noise from seismic airguns can damage nearby marine plankton, shellfish, fish, and marine mammals, depending on how close they are to the source of the noise. • The cost of a seismic testing survey could range from US$7 million to US$18.5 million. • Exploratory drilling, usually done after a 3D seismic test, is the only way to confirm the presence of oil and gas. • Exploratory drilling is usually done in in open water, over a 30- to 65-day period. • The risk of big oil spills and blowouts is rare, but when they do happen, the damage can be extreme, such as the Deep Water Horizon blowout in 2010, which spilled four million barrels of oil into the Gulf of Mexico. • Exploratory drilling is usually done from either drill ships, in water depths of 600 to 3,000 metres, with drilling depths of 12,000 metres, or semi-submersible drill platforms, in water depths of 500 to 3,000 metres. • The cost of an exploratory drilling program could range from US$100 million to US$150 million. A drill ship would cost $250,000 to $400,000 per day to operate, while a semi-submersible would cost $200,000 to $250,000 per day. • Drilling vessels usually come fully staffed with experienced workers. Jobs for local people could be limited only to environmental monitor positions. 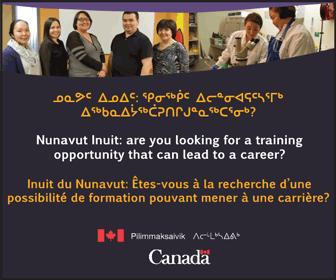 “With advance training, additional employment opportunities could be available for residents of Nunavut,” QIA and NIRB said. • The potential job benefits for local communities from exploration drilling will likely be limited. • It would likely take 15 to 20 years for exploration activities to lead to the discovery of a viable oil or gas deposit. After that, the company would need a “significant discovery licence” to move towards production. • Production involves the drilling of multiple wells and requires equipment for transferring oil or gas to the surface and the use of tankers to transfer oil or gas to global markets. • An Arctic offshore oil or gas production operation would require multiple ocean-going vessels: one to five tankers, two to three supply vessels, two to three icebreaker support vessels, and possibly permanently anchored vessels for storing supplies, fuel, equipment and helicopters. • A supply and helicopter base could be located in Iqaluit. • The cost of field development and production at a viable site could reach $14 billion. • With exploration taking 15 to 20 years, and production lasting for about 40 years, a complete development cycle could run from 30 to 60 years.